That headline is not a joke, folks. 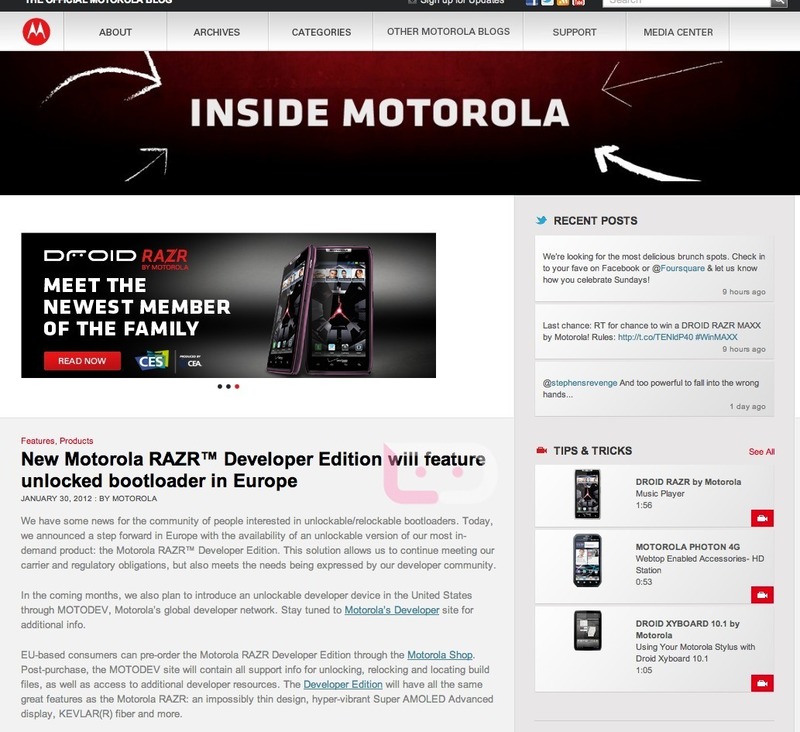 Motorola, through their community blog, has announced the RAZR “Developer Edition” which has an unlockable bootloader. 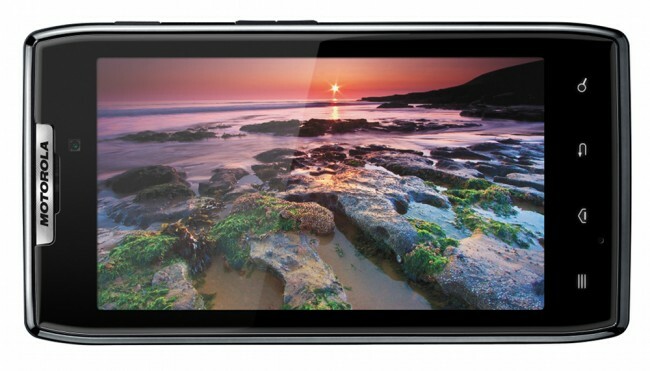 No release date was given in the post, but from the sound of it, the device should be here very soon. A pre-order page is in the works here. In even better news though, they also announced that a U.S. version would be available in the “coming months.” Now, we have heard fine promises like this in the past from Moto, but will try our hardest to take their word for it seeing as they are pushing an actual device to Europe. We have no idea if it will have Verizon radios or not. Since the European version is GSM, you could easily come to the conclusion that the U.S. will see an unlockable GSM version too. That’s unconfirmed, of course. Info on the unlocking and relocking process will be available at the MotoDev site. *Note – It looks like they posted this news a little prematurely. Proof after the break.